Sue-Ellen Case is arguably the most influential and significant scholar in feminist and queer theatre studies. This collection brings together her most important writing. Framing this with new introductory material, Sue-Ellen Case will contextualise her work within broader developments in critical theory and feminist / lesbian studies. 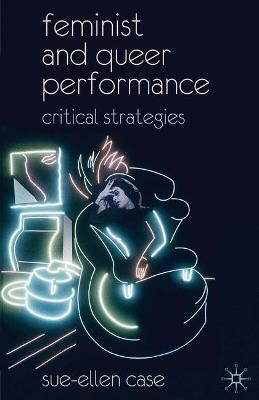 Buy Feminist and Queer Performance by Sue-Ellen Case from Australia's Online Independent Bookstore, Boomerang Books. SUE-ELLEN CASE is Professor and Chair of Critical Studies in Theater and Director of the Center for Performance Studies at UCLA, USA.